Cpl. Harold G. Grant, son of Mrs. George G. Grant, atended Frederick High School; husband of the former Louise Parker. Entered Army in Aug 1941, trained inFt. 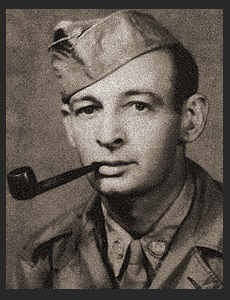 Sill, Okla., Fort Leonard Wood, Mo., Ft Lewis, Wash.,; served in China, Burma, and India; was discharged. Awarded Asiatic Paciifc Ribbon with two Battle Stars. Am. Defense Ribbon. Victory Ribbon, Am. Theatre Ribbon, Pres. Unit Citation.